TOKYOPOP CEO Stu Levy announced the US Division located in Los Angeles, CA will shutdown this upcoming May 31, 2011. Stu Levy wrote a farewell note recapping fourteen years of history. One can feel his love for manga and the japanese culture, a second home to him. Barely a few weeks ago, Stu Levy posted images of his trip to Japan where he helped a community sheltered in a school after the earthquake and tsunami disaster. It was a great experience for Levy to interact and give so much to the culture that inspired him to found TOKYOPOP prior to shutting down. Live long and prosper. A few months ago, many employees were laid off including the World of Warcraft manga Editor Troy Lewter and Hope Donovan. The staff was reduced down to only six employees. It’s a sad day for millions of Blizzard fans who enjoyed many awesome stories which spawned tie-in characters and plots in the StarCraft II: Wings of Liberty single player campaign, and World of Warcraft expansions: Burning Crusade and Wrath of the Lich King. 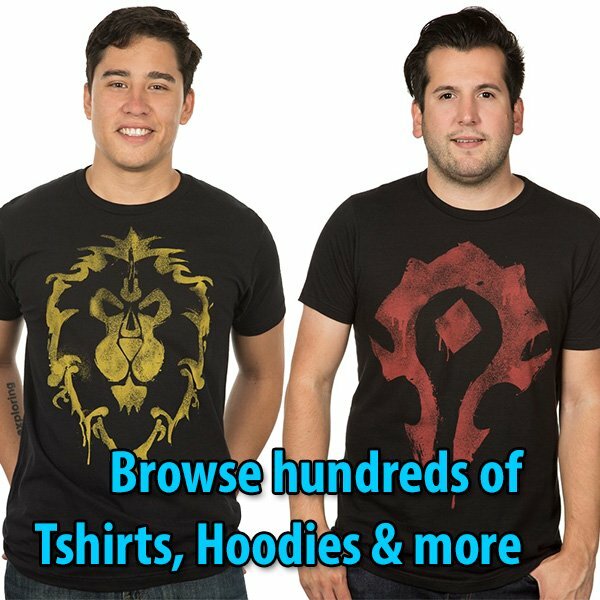 In October 2010, TOKYOPOP and Blizzard Entertainment were proud to learn the World of Warcraft: Shaman manga by Paul Benjamin hit the New York Times Bestselling Manga List. 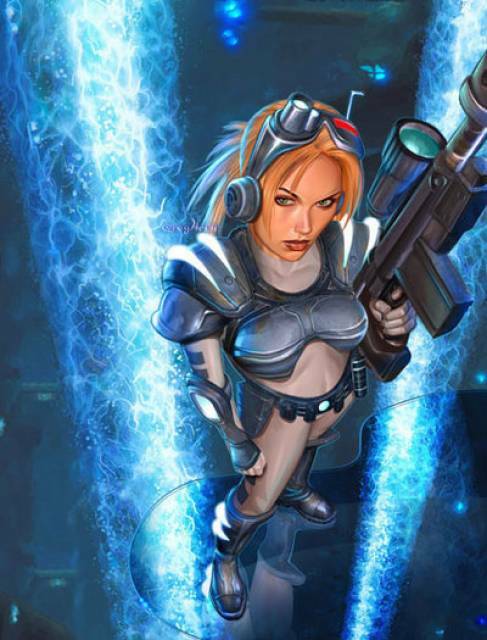 TOKYOPOP published several manga inspired in the StarCraft and Warcraft universes after signing a three-year contract with Blizzard Entertainment. Click the links to order them while supplies last. Now that TOKYOPOP is shutting down, thousands of fans will rush to catch up to gather the manga collections. Below are the links to all the StarCraft and Warcraft manga, followed by Stu Levy’s farewell message. Checking Amazon and Barnes & Noble, most of the prices in the Tokyopop Online Shop are two dollars cheaper — except for the Essential Sunwell Collection. Among the Current Tokyopop Top 10 Manga Bestsellers are The Essential Sunwell Collection (position # 8 ) and the Cataclysm tie-in … World of Warcraft: Shaman (position # 10). The convention-hopper Keith R.A. DeCandido just boarded an airplane from Indianapolis where he attended InConJunction 30 as its Guest of Honor. He’s back in New York City, but not for long, because he is heading to Maryland. If you are a Trekkie, or a Star Wars junkie, or any other sci-fi nerd and you are attending the Shore Leave 32 at the Marriott’s Hunt Valley Inn in Baltimore, Maryland — you might want to cross paths with Keith R.A. DeCandido throughout July 9 – 11, 2010. Bring your copies of StarCraft: Ghost novels and manga; or World of WarCraft: Cycle of Hatred for book signing. Shake hands and take a photo with the writer. Send it our way to post it in the front page. While Keith has no Blizzard-related panels at the event, if you are going to the event for kicks concerning other sci-fi worlds, still feel free to approach him with your Blizzard collections for signing. You can find his three-days schedule here. 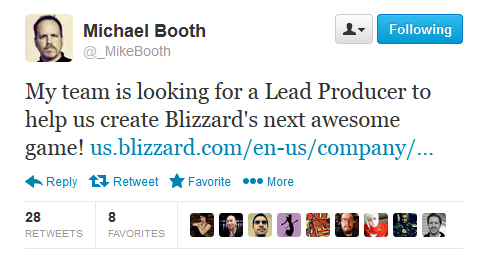 Blizzard Entertainment posted this week a brand-new job opening for the still-unannounced Next-Gen MMO. Based on this job opening for a 3D Character Equipment Artist it might be hard to tell if this fourth game currently in development will be based on one of the existing franchises: Diablo, WarCraft or StarCraft. This is the first time we know anything substantial about the enigmatic Next-Gen MMO, nevertheless. This job opening is for a developers that will be in charge of modeling armor and weapons based on the concept art from Blizzard’s Art Team. The fifth game in development, not to be confused with the Next-Gen MMO, is still young, but it is confirmed unofficially through Blizzplanet to be a brand-new IP. The Next-Gen MMO hasn’t been confirmed to be based on a new IP or on an existent IP, but this game is a strong candidate to be revealed at BlizzCon 2010. Personally, I have said it many times in the past couple of years, and still think it is based on StarCraft and StarCraft: Ghost. Only time will tell, and Blizzard fans are know to be loyal and patient. Blizzard Entertainment is looking for an exceptionally skilled 3D character equipment artist for a team focused on next-generation massively multiplayer online games. The ideal candidate has extensive experience modeling and texturing a diverse visual range of character armor and weapons. A solid grasp of armor and weapon design, structure, color, and light for the creation of both 2D and 3D art assets is essential. The 3D character/character equipment artist must have a skill in another art task as well (illustration, modeling, texturing, animation, or concept drawing), and be well-versed in related tools — Maya, Photoshop, etc. Keith R.A. DeCandido will be at Forbidden Planet signing some Farscape comics today April 22 at 6:30pm. Bring your copies of World of Warcraft: Cycle of Hatred, StarCraft: Ghost: Nova, and StarCraft: Ghost Academy and say hi to the author.